Castle Hill House | Launceston Then! Castle Hill House, Castle Street. 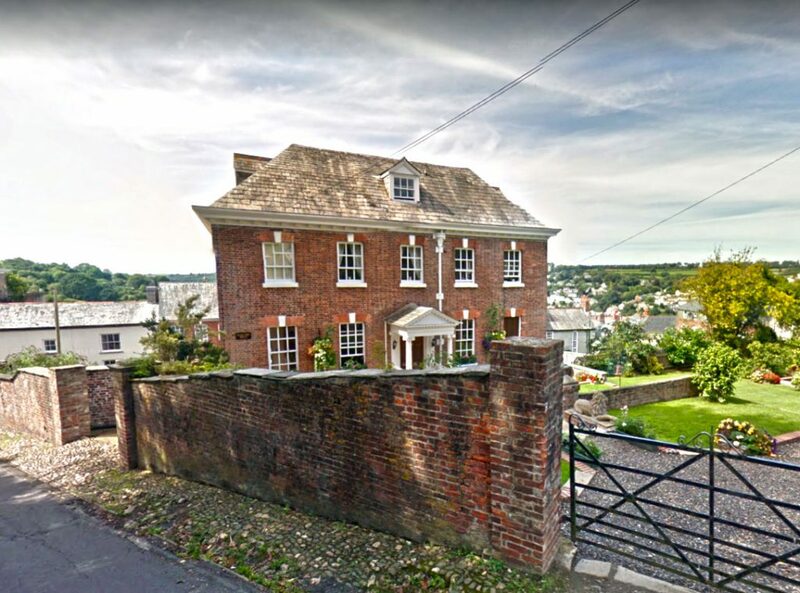 Built around 1788 for Mr Thomas Jago, of an old Cornish family, who moved to Launceston and set up as a solicitor in the town. Thomas Jago married Catherine Bolt on 7th September 1774. His grave is beside the porch of St Mary’s, covered with a large slate slab, now broken: – Thomas Jago, Attorney at Law – died August 13th 1814 aged 72 years – Mary Jago daughter of the said Thomas Jago died – May 15th 1818 aged 34 years. Thomas’s son, Francis Vyvyan Jago, was born here in 1780, and he was educated at Liskeard Grammar School and Exeter College, Oxford. He was ordained curate at East Antony, where he showed his love for antiquarian study, but was soon instituted to Landulph in 1805. Jago showed great interest in the history of the area and wrote about Landulph Church and Theodore Palaeologus, descendant of the last Christian Emperor of the East, who was buried there. In 1815, Jago assumed the name of Arundell on the grounds that one of his ancestors married a co-heiress of John Arundell of Trevamore. For fourteen years, from 1822, he was Chaplain to the British Factory at Smyrna, and while engaged there explored the Middle East. In 1826, he travelled through Asian Minor, making a pilgrimage to the seven churches of Asia Minor and Piridia, about which he wrote in 1828. Then in 1833, he made another tour, and published, in 1834, the two volumes describing his discoveries. A third tour was made, 1835/6, but he published no account. While in Asia Minor he made a renowned collection of antiquities and coins, which he sold to the British Museum on his return to this country. He contemplated a History of Cornwall, but instead gave valuable help to the Lysons brothers, who published a history later. Arundell, as he is now called, died in Landulph in 1846, and was buried in the Church there. “All that Capital Brick Built MANSION House with the Coach-House & Stables, Fruit & Flower Gardens” by the widow of John Cudlipp, Esq, MD. The house was occupied by the medical profession for around 140 years, as well as being the accommodation for the Lawrence’s when they used Lawrence House for their offices. The last doctor occupier was Dr O’Conner who retired and moved to Prospect House (next the Town Hall) in 1977.